Series "Writers and places dear to them"
Author Heinrich Böll, who would have turned 100 on December 21, 2017, was a critical voice in the young West Germany. The Nobel Prize laureate spent many of his summers in an Irish cottage on the edge of Europe. Heinrich Böll never forgot his first trip to Ireland. "When I stepped aboard the ship, I saw, heard and smelled the fact that I had crossed a border." That is the first sentence of his "Irish Journal". Ireland was different. Böll noticed that even before he first set foot on the island. "Here it already smelled of peat and sounded gutterally Celtic from steerage to the bar. Here Europe's social order took on different forms: poverty wasn't just 'no disgrace;' it was neither an honor nor a disgrace." This aspect - poverty that was not necessarily felt as such - was especially fascinating to Böll. "Germany's most successful post-War author," as Spiegel magazine called him it a title story, was critical of the new Federal Republic of Germany. He was repelled by the wave of people gorging themselves and taking vacations abroad, the frenzied shopping and booming car sales, because at the same time, the most recent past was being hushed up. The rough authenticity of Ireland seemed to him to provide a welcome antithesis. As early as a year after his first visit in 1954 he returned, this time with his family. "I know exactly how we arrived," his son René remembered in an interview. He was just under seven years old then. Now he's just under 70. "It was the first time I was on a ship, the first time I'd seen the sea, the first time I'd seen mountains - and a country that had no war damage. No bombs had fallen there, in contrast to Cologne." From then on the family moved to Ireland for four months in summer every year. The children were taken out of school, which was still possible then. In addition, Böll often traveled there alone. In 1958 he bought a house near Keel on solitary Achill Island, off the northwest coast of Ireland in the Atlantic. "We children found it fantastic: a real paradise," René Böll says. "You could run around outside all on your own." Fishermen set out from the port to catch basking sharks. "You can still see the sharks from the land," as René Böll has ascertained. "Back then they were hunted for shark liver oil. Every year until the early 1960s hundreds were brought into port - in one year, more than a thousand." Böll (1917-1985) found the solitude ideal for concentrating on his work. He had to publish regularly to pay off the mortgage on the house he had bought in Cologne. Between the peat bogs and the sea he was undisturbed. René Böll: We were really away from the world. There was no telephone; it took two weeks for a letter and its reply. People aren't familiar with that anymore." Paradoxically, Böll himself contributed to Ireland's being catapulted into the present-day world. His "Irish Journal" was a huge success in 1957. Many West Germans wanted to visit the "Emerald Isle" themselves, and it was unbeatably cheap as well. Soon there was scarcely a group of Catholic scouts that hadn't taken a horse-drawn caravan trip in Böll's beloved country. "In the late 1960s, large numbers of tourists came at times, " René Böll remembers. "It wasn't exactly mass tourism, but it was getting that way: lots of partying teenagers." Böll described the deserted village at Slievemore in his "Irish Journal." It can be no coincidence that Heinrich Böll turned his back on the island at just that time. After 1973 he stayed away. Those were the years during which right-wing politicians and newspapers conducted a smear campaign against the Nobel laureate, accusing him of bearing responsibility for the terrorist attacks of the far-left militant Red Army Faction. In addition, he was plagued by severe health problems, so that he bought a second house in the Voreifel area, nearer to home. "Henry" made one more appearance on Achill Island, in 1983. But he stayed for only two days. Now his cottage is a retreat for writers, who can receive a fellowship to work there. René Böll, who was there once, reports: "The Irish celebrate a Böll weekend every year. It's always a great program, with lots of writers from Dublin and from abroad, readings, concerts, guided archaeological tours." Despite all the changes he loves the country as much as ever: "For me, it's always remained a home." Mass tourism has prompted calls for better management at some of the world's most popular destinations. 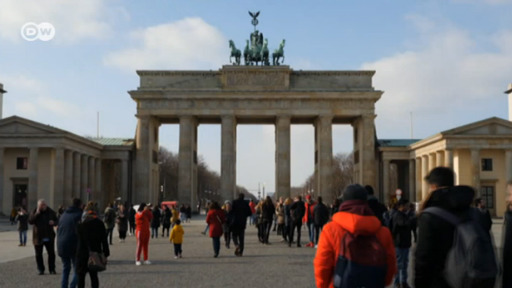 Berlin-based company GetYourGuide allows users to book tours in advance - meaning they can avoid the lines.